‘Form follows function’ may be a basic tenet of modern architecture, but when it comes to designing entrances, aesthetics are inevitably a determining factor. They must contribute to the design concept, blend with other building materials, flow effectively into interiors and above all, make an impact. But behind every grand entrance, is a myriad of decisions based on function: the purpose of the building itself, expected footfall, user requirements, accessibility, ventilation, heat loss, safety and security. Match that with thousands of products on the market, all possessing subtle differences, and it can make identifying the right solution a complex process. It’s said that ‘people do business with people’ and ‘good relationships open doors’; that’s certainly true of the specification process. 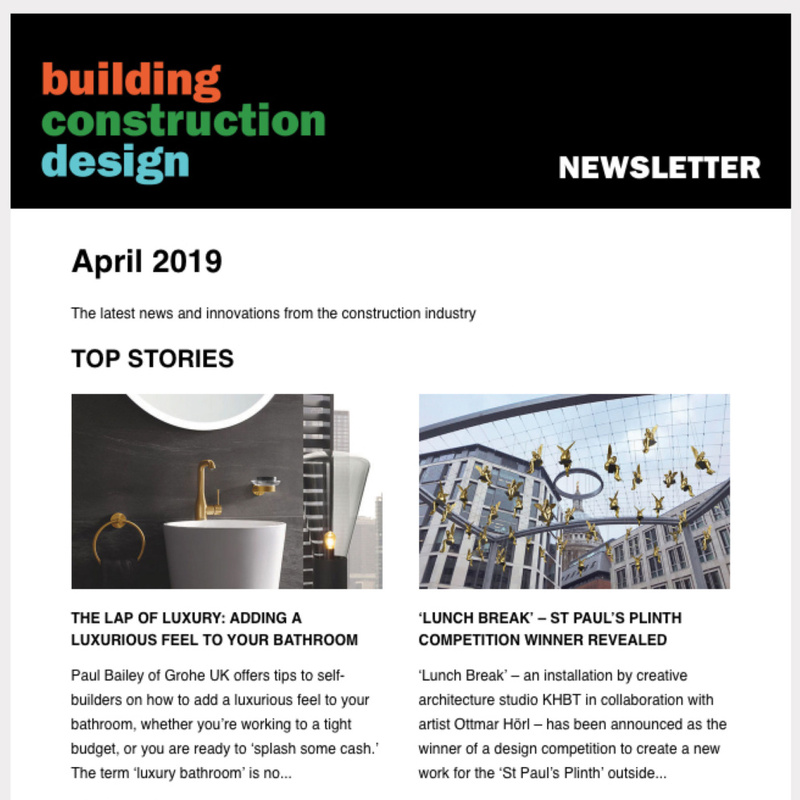 Specifiers and architects build a relationship where trust is garnered through advice, guidance and sometimes, compromise to identify the best solution for a project. Early liaison is helpful – consideration needs be given to the product type and application from the outset. Design based on assumption will only result in major reworking at a later stage, which is never desirable for architect or client. When apprised of an architect’s ‘wish list’, I advise on the best possible options and try to drill down to a level of detail they may not have considered. For example, with a retail project, consideration will be given to maximising frontage for window display, levels of anticipated footfall and funnelling of traffic across the threshold and around the retail floor plan. In most cases, an automatic sliding door system would be an appropriate choice, and although this may seem an obvious selection, this is where we need to need to look further at its intended application and operation. A sliding door operation is usually triggered by movement sensors with side sensors for safety, but if baskets or displays are put too near to where the doors open, they may cause them to operate ineffectively. Doors may be better installed with pocket screens – glass panels that the automatic doors slide in to – which are protective and also use available space without any hindrance. 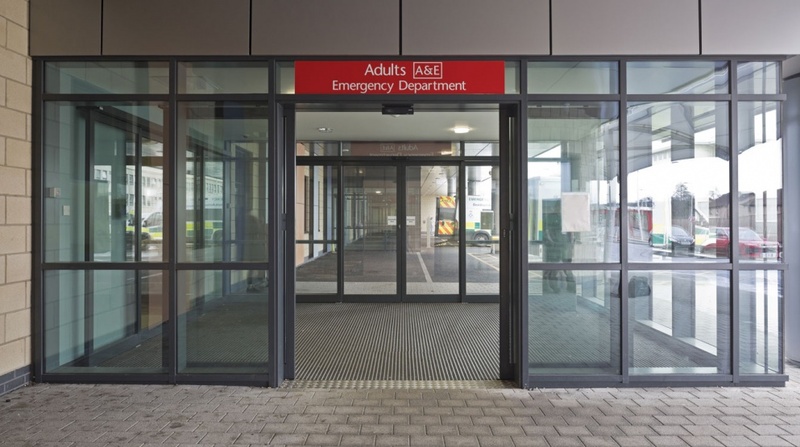 Pocket screens are also an essential safety feature in a hospital environment as they minimise the risk of serious injury occurring by reducing the possibility of contact with the moving door leaves and eliminating potential entrapment zones. Within healthcare, there are a range of specific needs that may be required – reduced contact mechanisms, hermetically sealed doors for laboratories, different levels of security access and safety requirements for particular groups of patients classed as ‘vulnerable traffic’. All automatic door suppliers are required to provide solutions in accordance with BS EN 16005 European Standard for safety in the use of automatic doors for pedestrian use. Under BS EN16005, automatic doors are classed as ‘machines,’ so within the design users must be protected from risk of injury. Sometimes, a design aesthetic must give way to practicalities. For example, the desire to see an automatic swing door put in place where leaf size has to battle environmental factors may result in ‘sail effect’ where the wind speed makes the operator less effective, so users become frustrated by the slowness of the door opening or in extreme conditions, not opening at all. Where there is such an obvious conflict, I would prefer to provide alternative design solutions for a system that will consistently operate in the conditions in which it is installed. 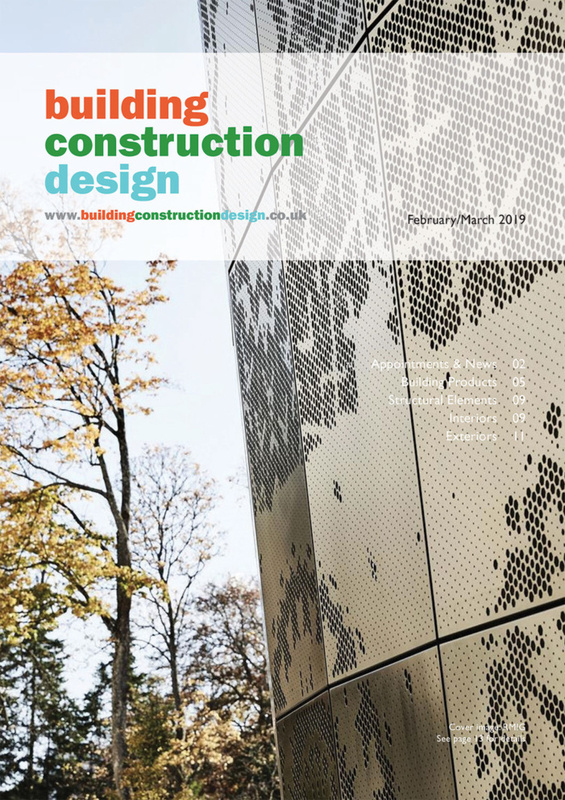 When it comes to specifying requirements for heritage and listed buildings, the partnership between specifier and architect really comes into its own. Products can be adapted to provide a tailor-made solution that can be accommodated into the premises without altering form or structure. 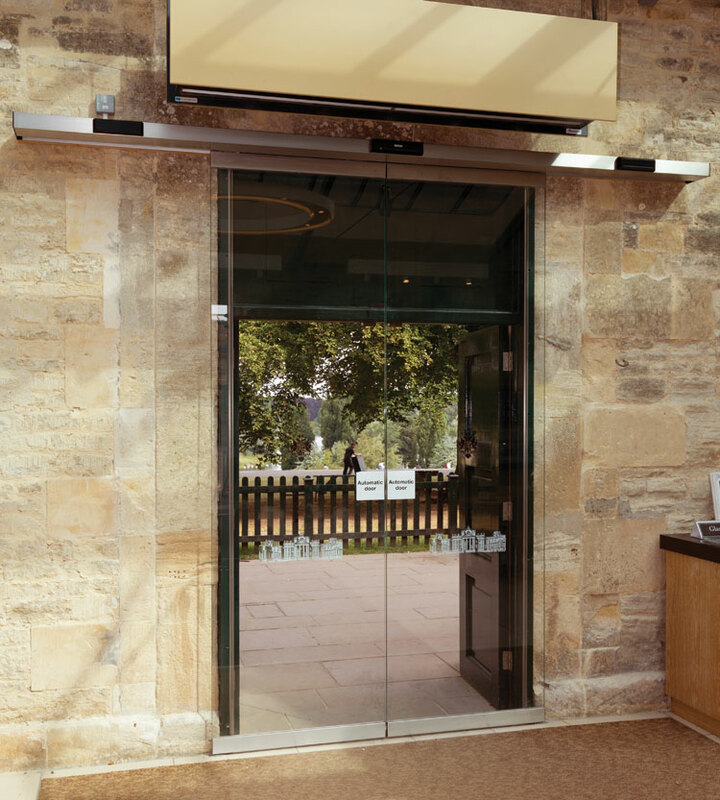 Take for example, a project we undertook at Blenheim Palace in which sliding doors were incorporated for improved accessibility while maintaining the original large timber doors. These clearly could not be automated or removed so a secondary glazed entrance was created behind the original. Lobbies can enhance a building’s sustainability, but performing a vital function doesn’t mean they have to be boring. Circular or elliptical automatic entrances look visually stunning and maximise space. 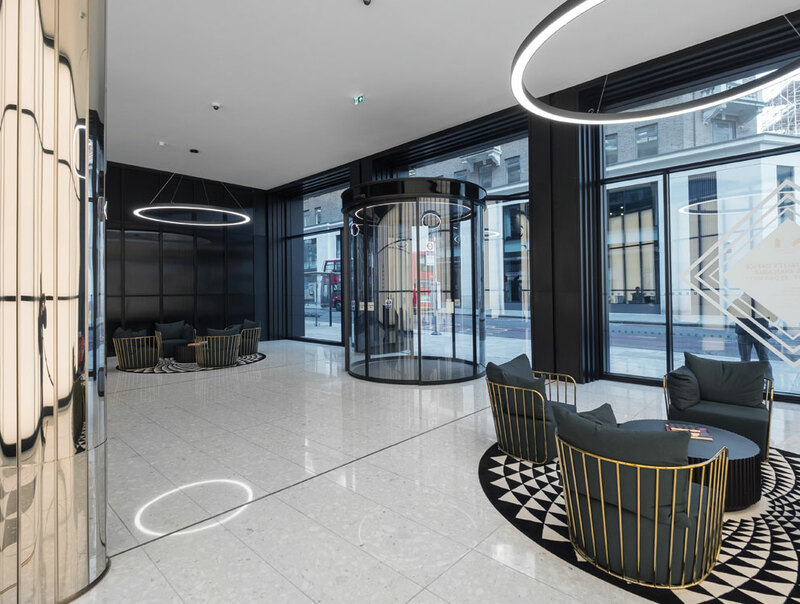 A recent installation at No 1 New Oxford Street, London, saw a Moderne building enhanced by an entrance that followed the curves of the building’s original design. Whatever the project, exacting standards must be met and checks and balances put in place. The relationship between a specifier and architect is fundamental – form and function should never ‘stop at the door’. It must be considered and applied to create a grand entrance.